Bartolo Mascarello is arguably the most important Barolo house in Piedmont. 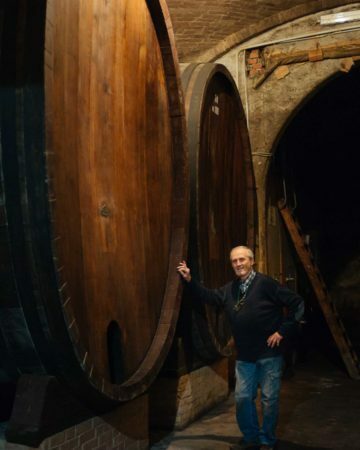 Bartolo joined his family’s Cantina in 1945, and the house continues to make Barolo wine in the traditional style to this day. While his daughter, Maria Teresa, has made subtle refinements, she still adheres to the traditional winemaking principles she learned from her father. Bartolo Mascarello is most famous for his refusal to create single vineyard bottlings and his refusal to use French oak barriques. 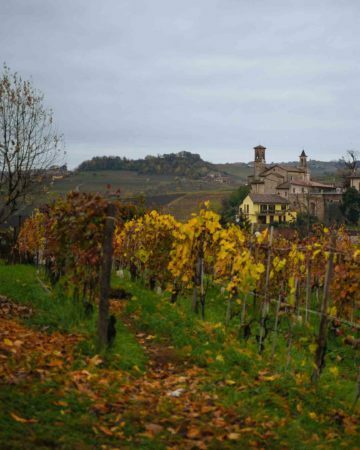 Barolo wines are made from Nebbiolo grapes grown in the Barolo DOCG. Historically, Barolo wines have been blended from multiple vineyard sites in large Slovenian botti (giant casks). 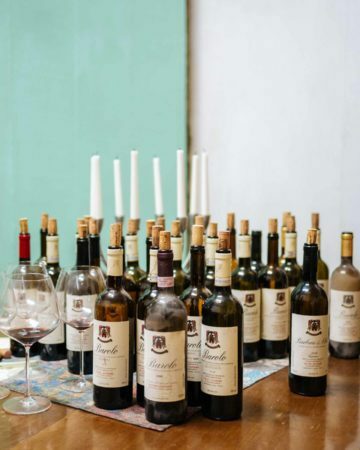 As winemakers in the Langhe started catering to international tastes and chasing scores from influential wine critics, most gravitated to the use of French oak and began creating single-vineyard bottlings from renowned vineyard sites. Bartolo Mascarello’s opinion was that Barolo aged in French oak was like “a clown with rouged cheeks” and even went so far as to bottle wine with an art label that read “No Barriques, No Berlusconi” at one point. Maria Teresa has continued the tradition of blending, even though the wine contains grapes from renowned crus like Cannubi. Similarly, she has continued the tradition of aging the wine in traditional botti. As she explained the winemaking process to us, she stated that she often gets requests for interviews from journalists, and she typically points them to older articles about the winery for the information they are seeking, because literally nothing has changed. If you are able to make an appointment for a tasting here, do it. The winery is open by appointment only and sells only through a mailing list. The waiting list to get on the mailing list is 10-15 years, and the winery does not ship, so mailing list members will need to make an annual trip to Piedmont to pick up the wines. I loved the beautiful pictures. Thank you for “taking” me back to Italia. We spent some time there not too long ago.